1/2 Cup of Rice Flour. Mix all the ingredients and let it rest for 10-15 minutes. The water in the vegetables will be released, which will help all the ingredients to form a thick batter. Take a spoonful of batter and spread it lightly around 1.5 inch to 2 inch in diameter. I spread around 3 in a pan , it depends on the pan size and how you want to cook. Cook until lightly brown on one side and then turn and cook again. 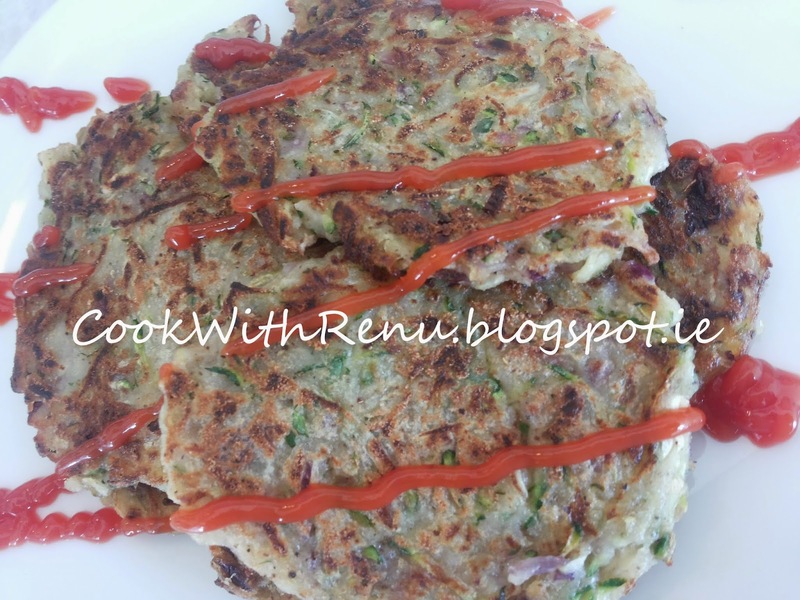 Yummy and healthy Zucchini Fritters / Pan Cakes are ready. Serve it with Tomato Ketchup.